Nancy has a limited number of private sessions available. THESE WILL GO FAST, DO NOT WAIT TO PURCHASE! Friday 10-4pm, Saturday 10am-4pm. CALL CHRISTINE SEEBOLD TO BOOK YOUR PRIVATE SESSION 518-915-9119. Payment will be taken when you book your session. Your session will last for 1 hour. BECAUSE OF THE DEMAND NANCY WILL BE DOING PRIVATE READINGS ON SATURDAY ALSO. 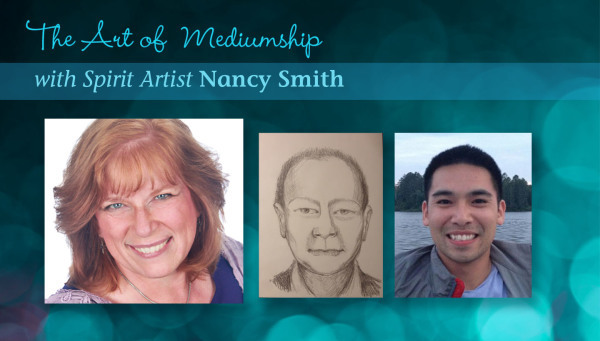 Join talented mediums and Spirit Artist Nancy Smith for a demonstration of mediumship. Nancy will bring through your loved ones, describing them and bringing messages from them from the other side. Nancy will also draw the likeness of some of the spirit communicators. Some lucky participants will go home with a drawing of their loved one. Due to size of event, not everyone will get a message. DO NOT WAIT THIS WILL SELL OUT FAST! ALL TICKETS ARE NONREFUNDABE ONCE PURCHASED! Class is cancelled, Nancy will be doing more private readings. Have you ever “seen” a message from spirit? Would you like to creatively develop your mediumship? This class explores creating visual messages from Spirit and Spirit guides. This class rates high on the fun scale. Let your creative self flourish, have fun! We will begin with and introduction of a short history of Spirit art. We will discuss what a spirit portrait is and how it can prove the continuity of life. The first part of the class will be a quick explanation about drawing portraits from spirit as part of a mediumship reading. This part of the class will start with everyone getting a quick drawing lesson on the human face, including tips on drawing techniques. The second part of the class will be shared readings, experimenting with receiving and giving visual readings from spirit and guides. You will have lots of hands on experience with a variety of methods of giving visual readings. Art supplies will be provided. If you have them, bring samples of your artwork and favorite art supplies. If we have time: Nancy will set up her easel with paper and pencils and charcoal to do a platform style demonstration. During this demonstration, Nancy will connect with spirit, and then draw the face of the spirit she is linking with. Nancy will also describe spirit as she talks, as well as deliver a message from that spirit. "To watch a Medium create a drawing like this in real time is amazing. Nancy is going to teach us how to connect with spirit and do a drawing for our clients". This is going to be VERY interesting!! 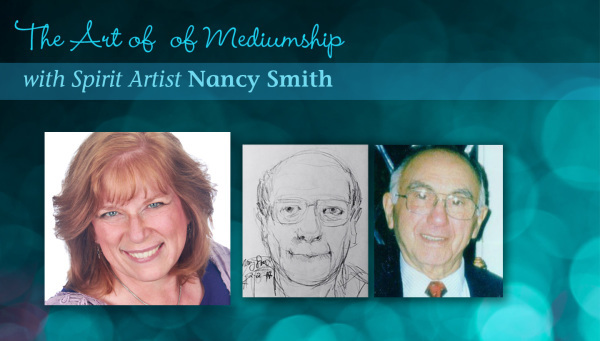 Nancy Smith of Angelscapes is a nationally known medium, spirit artist, author, teacher and illustrator. As a Spiritual Medium Nancy Smith offers connections to loved ones in spirit. Nancy also offers Soul messages for personal growth and healing. As a medium she connects to spirit and draws the images of the loved on in spirit. She connects to your Soul's Akashic Records and your spiritual team for life guidance and healing. Along with readings she offer classes in person and online and individual spiritual development and training sessions. 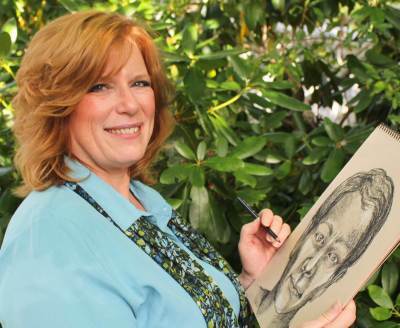 As a Spiritual Artist Nancy Smith offers connections to loved ones through drawing. Nancy’s spirit art has been features in books “What Sprit say about Reincarnation” by Dr. Deborah Richmond Foulkes and “Early and contemporary spirit artists, psychic artists and medium painters from 5,000 B.C. to the present day. History, Study, Analysis” by Maximillien de Lafayette.” Nancy has demonstrated her mediumship and Spirit Art throughout New England. She is an author of Award Winning Divine Love Affair an Akashic Journey. Her book Divine Love Affair, an Akashic Journey, that leads you on a path to spiritual connection through the Akashic Records. This book was awarded the nautilus silver medal. Nancy lectures and teaches throughout New England at spiritual centers and Spiritualist churches. Nancy is a member of Bob Olson’s Best Psychic Mediums site and Shay Parkers best American Psychics. Nancy has been heard on blog talk radio and The Medium Next Door TV show. Nancy is a Member of First Spiritualist Church of Quincy. Nancy is a graduate of the Rhode Island School of Design.